out when I am about to move out of the States?!" which arrived just a few days before my flight to Japan. You know I went insane absolutely! organize inside a drawer in my tiny kitchen. have yet; therefore, they are on the floor lol). on the table when your friends come over for lunch or so? I hope my friends will say "Oh where did you buy these cases?!" of them would be a curtain for my craft room. placed by then will be sent out on Wednesday (17th). I already said this on flickr but I have to say it again. I'm so in love with these tiny cases you made. It's such a unique idea to make your own cases to keep your drawers tidy ! But you are right they are to cute to hide these in your drawer. I f I would come for dinner I would definetly be blown away by these cuties !!! I really need to go to your shop next month when all the wedding expesenes are done ! is there any tutorial on the fabric organizer?? Love those cases, much nicer than plastic, but mayber too nice to hide away. You have such a great eye -- those drawer organizers are adorable! 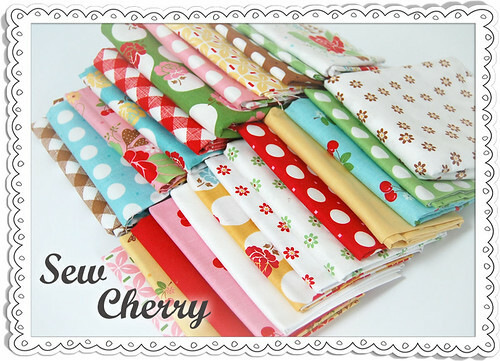 Love that you are using "Sew Cherry"! I can't wait to see everything that you make with it - I have a fat bundle just waiting to used! 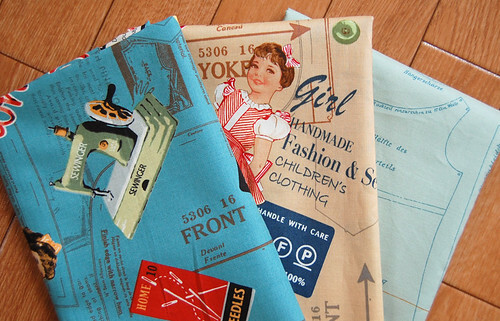 I really loved all the fabric and cute things you sent Lori - beautiful! those containers are too cute!! Those are just too sweet! and a great idea!! Oh my! I think I'm in love with those little fabric trays. Beyond gorgeous! Love the cases, but I could not hide them ;) Adorable fabrics. These are just as cute and practical as can be. How clever you are! Hope you're getting all settled in after your big move. Love your fabric trays! Such a wonderful idea. 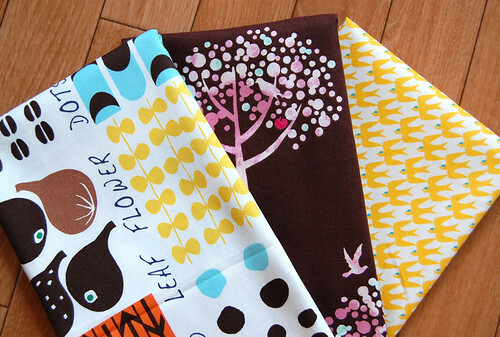 Beautiful Fabrics by Lori- such fruity designs and I love the colours- I will be looking out for them in the UK. The cutlery trays are a great idea! 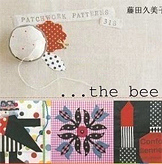 Do you have a pattern or a tutorial for those cute organizers. That are awesome. Love the fabrics you used. your cases are so beautiful! 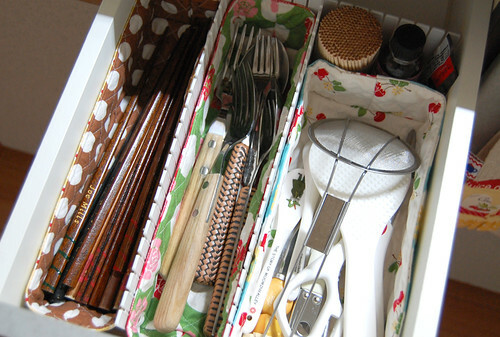 i made a similar case some time ago to organize chopsticks in my kitchen's drawer. i didn't make any afterwards, so my forks, knives and spoons are all lying messily in the same drawer next to the chopsticks haha!! Lori sent me!!!! I love your projects! They are so great! I would love to make some of these little cases they would work perfect in my daughter's room for some of her little toys and dolls!!! I am sure Lori is so proud of how you use her fabrics, the drawer liners are a great idea..especially on the table for individual table settings..they would be wonderful for BBQs too! I love your Sew Cherry organizers! How fun for you and Lori to be able to swap some goodies...I saw the amazing things you sent Lori over on her blog. Wouldn't you two have fun sewing together someday?! I love your organizers!!! I was just thinking that I needed to sew some the other day when I noticed our silverware drawer was getting out of control! 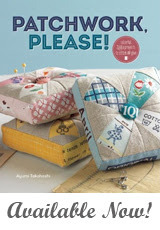 Such a fun and cute project!!! You should keep some out though...the fabrics you used are too cute to hide!! 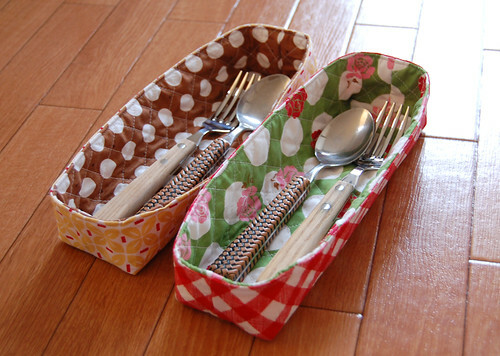 I can see myself making a cute organizer like that to hold my silverware when I go to restaurants. I hate placing my silverware directly on the table. Sure a napkin would work but your little cases are so much cuter! I love those little containers! I think they would be great for picnics too! 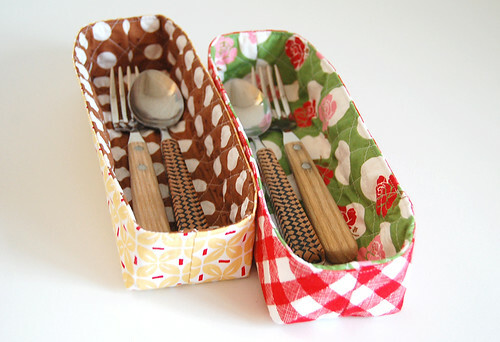 Ah, if I did not live with a bunch of slobs, I would make myself some fabric baskets like this for all our silverware! However, I may have to make some for my make-up drawers! Even with limited space it's so fun to be able to sew cute things for every little nook and cranny!...love them. oh now i know what to do with my stash! thanks Ayumi for the great idea! adore your fabric containers! the organizer and fabric lover in me is jumping up and down. I've been meaning to make your baskets too. You've inspired me to give that a try again! These are so stinking cute. I saw a similar pattern with little leather handles that I've always wanted to make (but could never find leather). These are even cuter. And your strawberry kokka fabric is killing me. So cute. 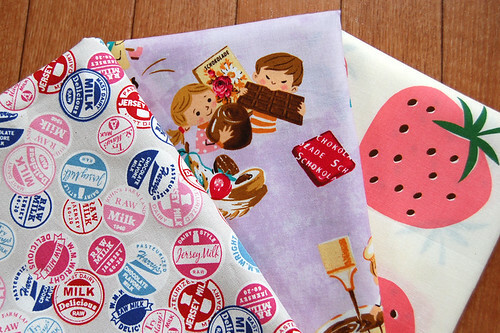 More adorable fabrics from you! These are really pretty. Very lovely! I think those fabrics you listed are amazing. However, gone when I went to look on etsy. Just as well, I am in the midst of a de-stash and should not be working at cross purposes. Cheers! oh my, ayumi! those are the cutest little baskets and perfect for organizing. thanks for the link to lori's blog. it's too cute. 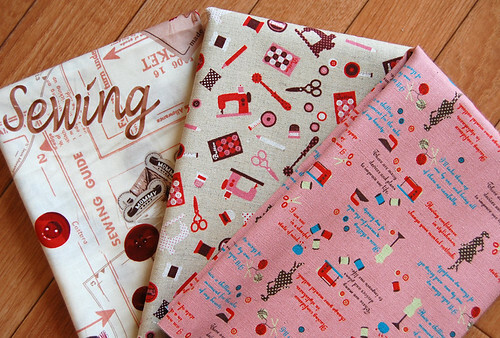 i have 3 of the sew cherry prints and i'm using them sparingly because i ♥ them. Like everyone else, I love the organizers & am hoping you will post a tutorial soon! 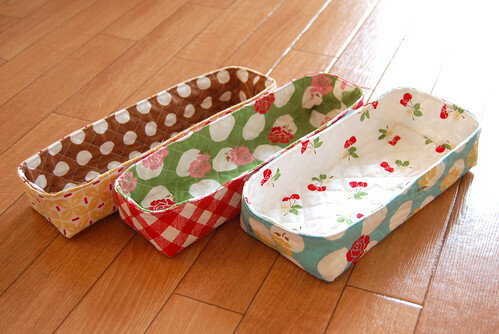 Hi Ayumi, these fabric trays are lovely. 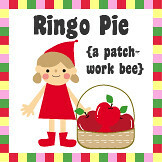 Hope you will make some for your shop. I love your drawer organiser so much! those little fabric basket organizer things are adorable. i like the quilting you did on them. Now the trick is once you have your visitors, you want to offer something good to keep them coming back. So that's why you should focus on good content and fall into the trap of crappy anything goes posts. Sew cherry fabrics introduced by Lori Holt. It’s really beautiful and pretty. Sew cherry always introduced good things I already have a four baskets I bought it from the online fabrics stores of Sew cherry. The Cases for spoon are really awesome I will definitely buy it. That is some awesome and useful information right there. I cannot wait until the little people go to sleep so that I can concentrate and work some of this stuff out.